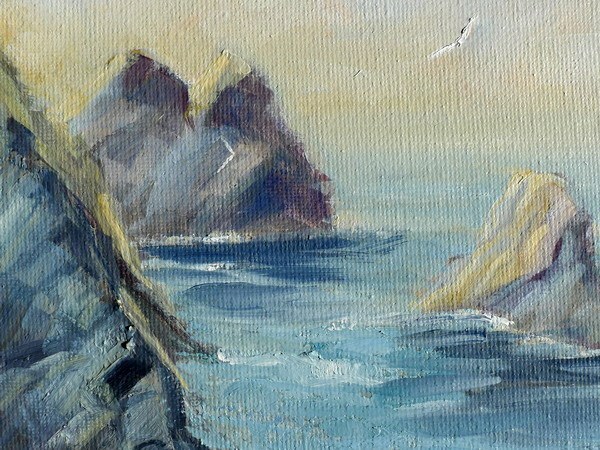 A painting of Ceibwr Bay cliffs captures the view from the cliff tops just south of the main beach, a few hundred metres along the Pembrokeshire Coast Path. Ceibwr Bay is renowned for it's spectacular rock formations and cliff folds. 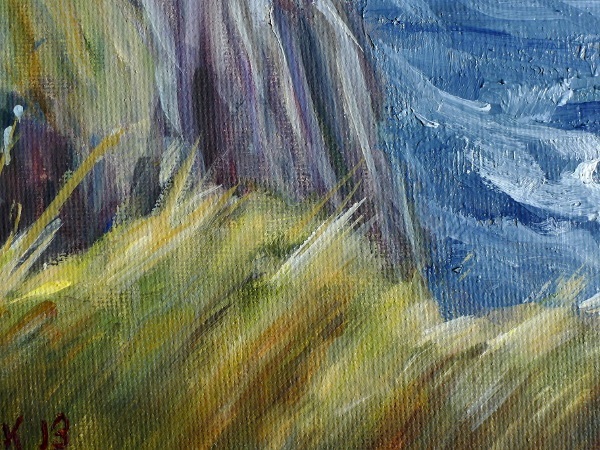 The warmer colours of the foreground grasses work beautifully against the cooler blues and turquoise colours of the wild churning sea. You'll receive my E-newsletter two or three times a year telling you about my latest exhibitions, painting adventures and studio news. You can unsubscribe in one click, and I will never share your email address.